Synq Solutions is an invaluable marketing partner. As a growing company, we required a print and fulfillment provider that could streamline our increasingly complex process and grow with us. With Synq, we found a partner that drives efficiencies and cost savings, while executing campaigns with speed and accuracy. We see Synq as a one-stop shop for everything we need related to the execution of our marketing materials including POP, local marketing as well as training and administrative items. For us, it's easier and more cost-effective to have one place to go for printing, fulfillment and delivery of all of these elements. Synq's web based system made this simple and effective to deploy across all corporate and franchise locations. 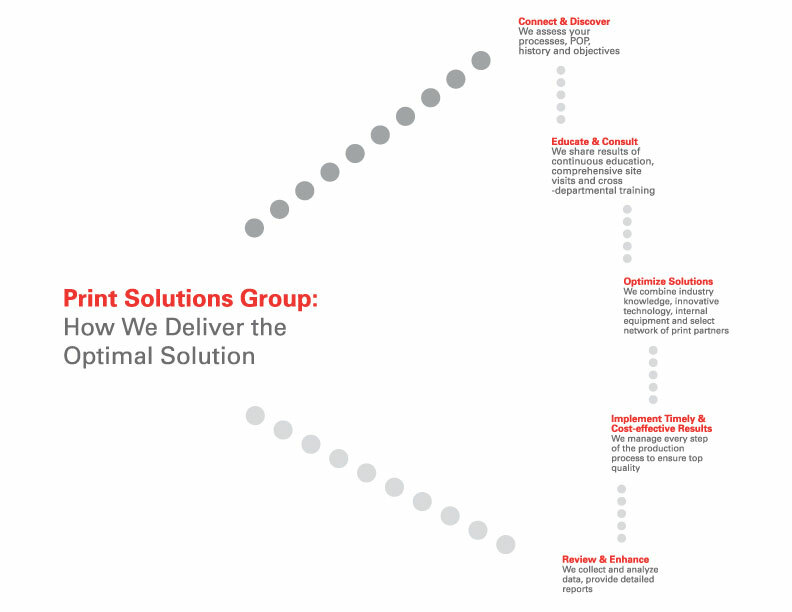 Our Print Solutions Group (PSG) is comprised of innovative expert print professionals who understand your business and skillfully determine the optimal solution for every project. As trusted experts in print production, we manage every step of the workflow, giving you more time to focus on your core business. We conduct a thorough assessment of your processes, the POP you currently use, and your history of specific methodology and materials. Once we understand your objectives, we formulate a strategy. 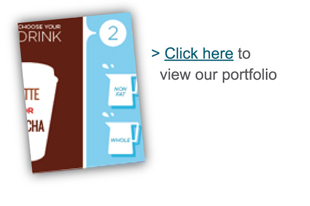 As your print partner, your goals drive our recommendations. PSG invests in continuous education to expand our expertise in the latest technology, substrates, equipment and processes. We perform comprehensive site visits to assess the POP of top QSR and retail stores, and leverage these observations to benefit our client base. Our industry expertise is disseminated among our PSG consultants through cross-departmental training, ensuring the most efficient process for every project. In turn, we share the latest industry trends and capabilities with you to determine how they may be leveraged for your campaigns. Through careful consideration of budget, timing, and desired output, we utilize our understanding of your business and recommend the most intelligent print solution, regardless of your project's complexity. 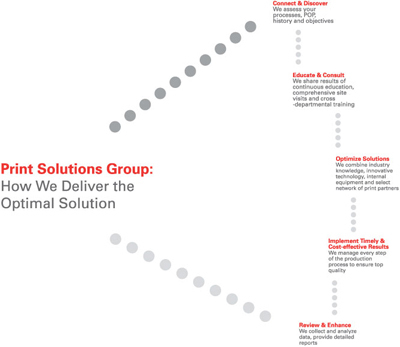 Our industry knowledge, innovative technology, internal equipment, and select network of print partners ensure that you receive the best solution for your project's purpose. PSG collaborates with Synq's technology and fulfillment specialists to provide the most timely and cost-effective results. We manage every step of the production process, guaranteeing that each order is produced on the best equipment and with the most appropriate materials. With Order Assurance, we leverage extensive quality assurance capabilities and keep you informed about your project's status every step of the way. Throughout production and fulfillment, we continually collect and analyze data in order to enhance processes. Further, we generate detailed reports to provide transparency into your projects' development. As we strive to perfect our methods, you continue to receive best-in-class POP material.